Jeff Cable's Blog: No shortage of poise and personality here! No shortage of poise and personality here! 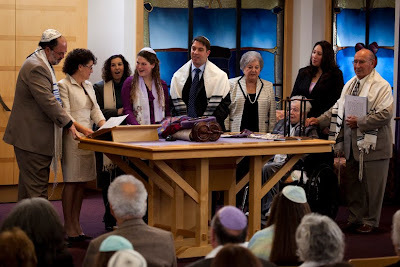 Yesterday I had the good fortune to photograph Hannah's Bat Mitzvah and the party in the evening. As her dad said after the service, "She nailed it!". As I steadied the camera and captured the images, I had a hard time believing that this girl was only 13 (well...technically still 12). She was so confident and articulate. And the best part for the photographer, she never stopped smiling for 2 hours! 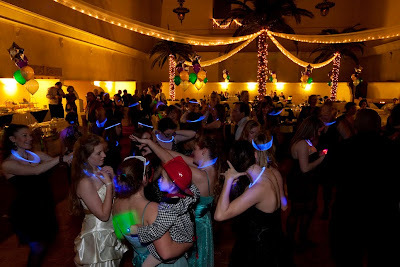 Within minutes of arriving at the Corinthian Event Center, I saw Hannah spinning on the dance floor. I asked her to do that once again and caught this image. 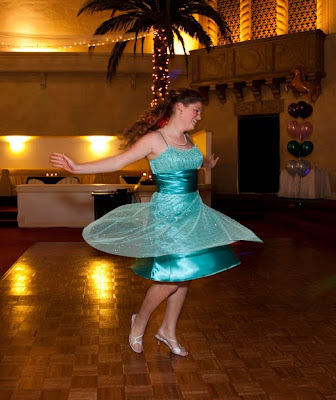 Actually, I captured a number of images during this spin, but I like this one the best due to the positioning of her hands, dress and feet, and best of all the smile on her face. It is images like this one that make me glad to be a photographer. I captured an image that, I think, defines her poise, her confidence and her pure enjoyment of the day. 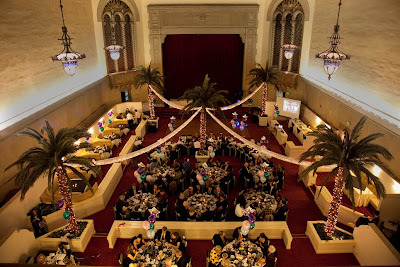 This was one of the nicest party venues that I have worked, and the people were amazingly well organized. Since I was not feeling very good yesterday (combining a messed up stomach with broken ribs), any help was greatly appreciated! This image, which provides a very cool overall shot of the party, was taken from a balcony area three stories above the party. I took this image on a tripod so that I could drag the shutter of the camera (1/5 of a second) to get some of the motion of the dancing. I combined this with a diffused flash to add a little light to the image. Whenever they beak out the glow sticks, I try to get a fun image like this. Before the party started, I was messing around with the camera and trying some fun tricks and grabbed this motion shot of Joy and her two daughters. Again, I combined a slow shutter speed with an on-camera flash. The trick to this shot is to move the camera as you shoot. 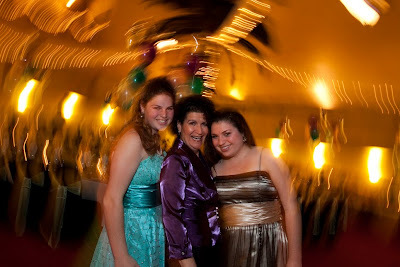 The flash will freeze the nearby subjects while the slow shutter will drag enough to distort the background. I think that this is a much more interesting (and fun) image than the straight mother/daughter shot most people would take. OLYMPIC PREPARATIONS - Two weeks and counting!